Hundreds of people protested in northern Florida on Saturday against the Sabal Trail Transmission Pipeline project, saying seepage from the pipeline could threaten the freshwater supply, as well as the environment. The natural gas pipeline is to run 829 kilometers from central Alabama, through southwest Georgia, and down into central Florida. Its construction cost is estimated at around $3.2 billion. Hundreds of protesters gathered near the city of Live Oak in the Sunshine State’s Suwannee County to oppose the project. Some formed a living chain with their hands interlocked and protected with plastic tubes to prevent them from being forcibly detached. Others held up placards calling for the protection of water supplies. “This pipeline is set to go through some of the most ecologically and biologically diverse areas in the country. 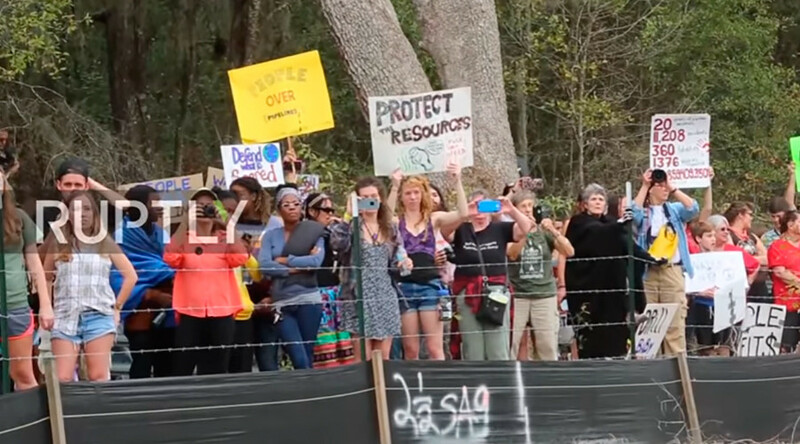 It’s jeopardizing not only the Suwannee River, but all the way down to Orlando and down to the Everglades,” a PhD student at Florida University, Ryan Thompson, who was one of the protesters, told Ruptly video news agency. Another protester, Laura Dailey, came from South Dakota, where she had been fighting the Dakota Access Pipeline. She told local television channel WCTV that she didn’t want history to repeat itself in Florida. 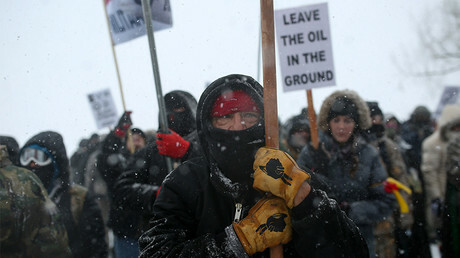 “The same thing that is happening there is happening here: ground waters will be poisoned, the economy will eventually turn down,” Dailey said. The protest went peacefully, unlike a similar event in November 2016, when 14 people were arrested for stopping trucks from entering a construction site in neighboring Gilchrist County, Florida. Amid Saturday’s protest, Sabal Trail Transmission, the company building the pipeline, said the project is needed if the state’s increasing demand is to be met. “Current natural gas pipe-line infrastructure in Florida is either fully or near fully utilized. And isn’t adequate to meet increased demand for natural gas in central and south Florida,” the statement said.